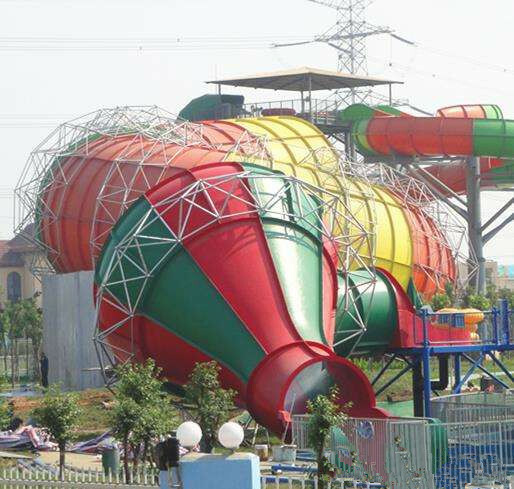 Mini tornado water slide is an extremely thrilling equipment, two person tube ride. 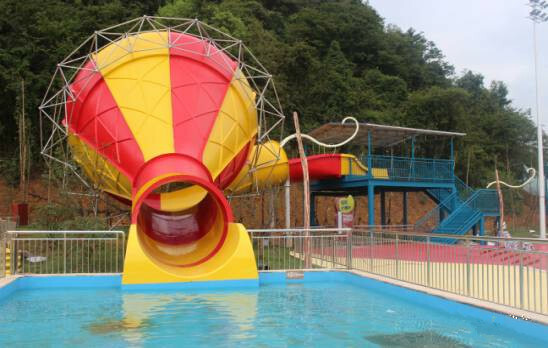 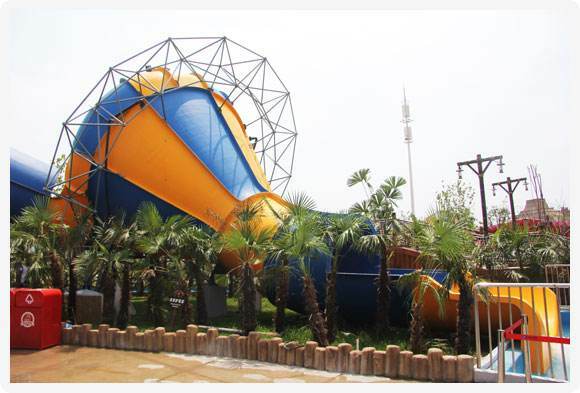 Riders sit in the 2 leaves raft, sliding from 3.15m platform, spinning into tornado bottom, like being sucked by the tornado, it will give riders thrilling experience of flying on the wind, especially suitable for adventuresome one. 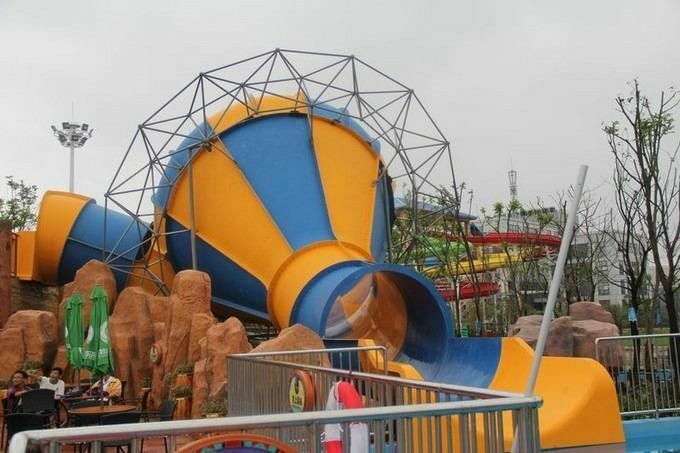 The maximal tourists bearing capacity of the slide is 360 riders per hour, it is the essential water attraction for gigantic aquatic park. 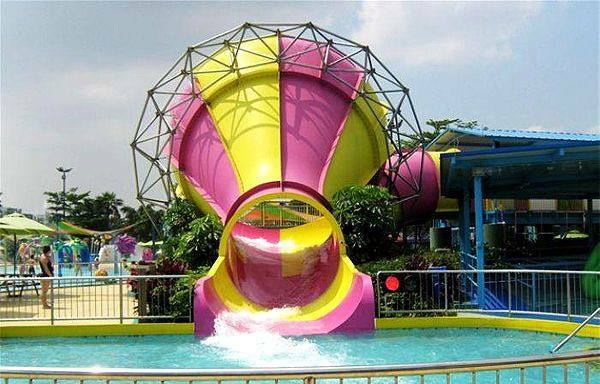 Mini tornado water slide is fitable for kids very much.